It seems Trumpeter really doesn’t sleep. Their Scud is just about to hit the shelves, when I just saw two more interesting pieces apparently in a stage (hopefully) close to being released, judging by the shots of boxes, sprues and instructions booklets being already available. One is 2S7M Self-Propelled Gun (Mialka) from the 1980s, which is an improved version of 2S7 Pion. 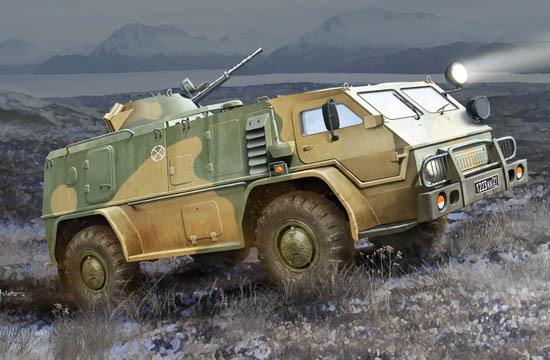 The other is GAZ39371 High-Mobility Multipurpose Military Vehicle, which I haven’t seen before, but it looks to be rather interesting vehicle (I think it looks better than the Tiger armoured car, that was just released by Meng and Takom if I am not mistaken).